This one is about a strong center with good movement to get free and the right passing angle. 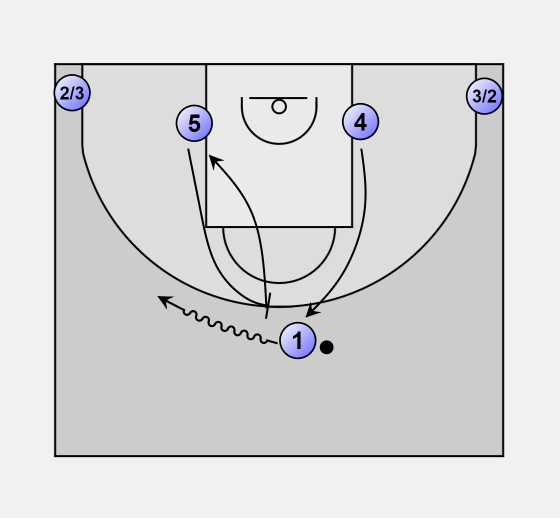 5 sets a side screen for 1 and plays pick and roll. 4 replaces 1 at the top. 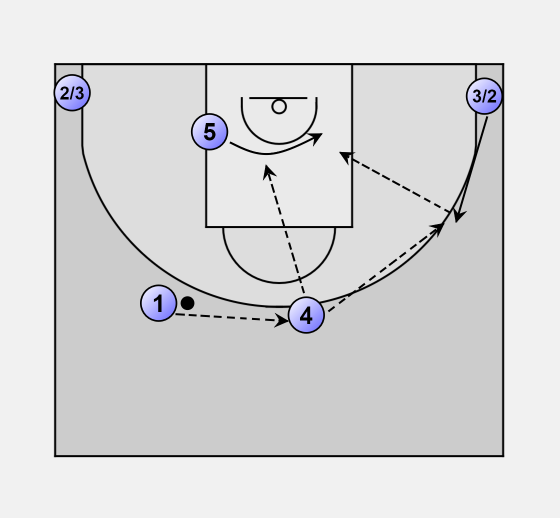 1 passes to 4 to get the right passing angle to the moving 5. Note that swinging the ball to 3 is the next step.